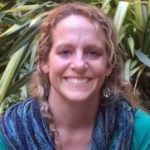 Erin Wilson, Fisheries Consultant - MRAG Americas, Inc.
Ms. Wilson joined MRAG Americas in 2015 as Seafood Sustainability Coordinator and is based in Seattle. Ms. Wilson serves on MRAG’s MSC fisheries assessment teams, performs stakeholder outreach and engagement, and participates in auditing services to the International Seafood Sustainability Foundation (ISSF). She received a M.Sc. in Marine Resource Management from Oregon State University and a B.S. in Zoology from Colorado State University, along with a Spanish minor. Her primary research areas involve sustainability for coastal communities and the commercial fishing industry. Prior to working with MRAG Americas Inc., Erin worked as Natural Resource Specialist for Oregon Marine Reserves and has collaborated on many projects focusing on marine science and conservation in both biological and social science aspects.